We are so excited to announce and invite you to the Fall Flea @ The Hive. Come and shop with us! Our team has been curating a shop full of vintage treasures, gorgeous accents, and eclectic one-of-a-kind pieces of furniture and home decor. Follow us on Facebook + Instagram for more sneak peeks of items for sale in the Fall Flea. As the seasons change and the colors start to pop let's talk about spicing up the WELCOME area of your home: the entryway. No matter how big or small, formal or informal, adding some seasonal personality to the entrance of your home will bring that festive Fall feeling we have all waited all summer to enjoy! First things first, lets begin with what already exists in your space and tidy up our "palate." Start by analyzing the furniture in the area. 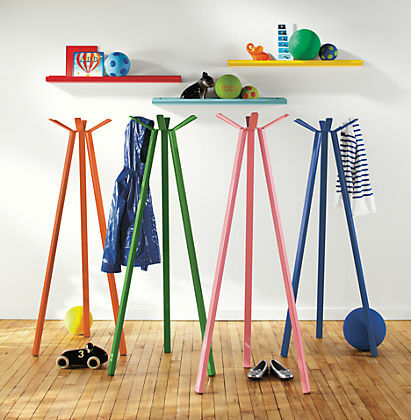 Take stock of how items are being stored in, on, or under the furniture pieces. Clear out seasonal summer accessories (i.e. expired sunscreen, old or broken sunglasses, sun hats, sandals, etc). Store these items or discard if they will not weather another year. Next, give the area a good cleaning to prepare for the next season of storage and decor. Once the area is clean, bring in this season's necessities like a warm rain jacket, your favorite scarves and hats for chilly mornings, and your coziest pair of boots. This is where a piece of furniture with drawers is ideal for storing small autumn accessories such as gloves, pet sweaters, and your favorite chap stick! Now for the fun part, you have curated and cleaned and are prepped for the cooler days and now it is time to celebrate with the fabulous colors of this season. We like to think that the entryway actually begins just outside the front door. We love a splash of Fall foliage on the porch or on the door. This creates the first warm welcome as you or your guests approach your home. This can be done using a fall wreath, a bouquet or two of mums, and maybe some pumpkins. This does not have to be much, just adding a splash of color outside to welcome the season and your guests. If you are just feeling extra warm and spicy you can add a beautiful seasonal welcome mat like this one from World Market as well! ** Also, this month HYD is offering an entryway/mudroom organization and refresh for a discounted rate of $75 for 2 hours. We'll help you rethink the way you use your entry way or mudroom... including furniture, storage, and decor. This is a great time of year to show this area some love, with lots of friends and family sure to be visiting your home for the holidays! We spent some time hunting down a few of our favorite Fall/Winter organizing tools to help you enjoy this season. Whether you're taking on the garage or just need some order at the front door, this list has what you need to get started. Fall weather means tracking in more of the outdoors. Drop your shoes or boots onto one of these snazzy trays to cut back on the cleaning. Cooler weather means more layers. Need a quick place to stash extra jackets this season? Add a seasonal coat rack near your entrance for easy access & quicker tidying up. So many looks out there, we had to give you a few choices for the tall & pint-sized folk as well. The pleasant temperatures make it a great time to tidy up the garage, garden shed, or attic space. Here a some storage ideas that can make those spaces work for you. 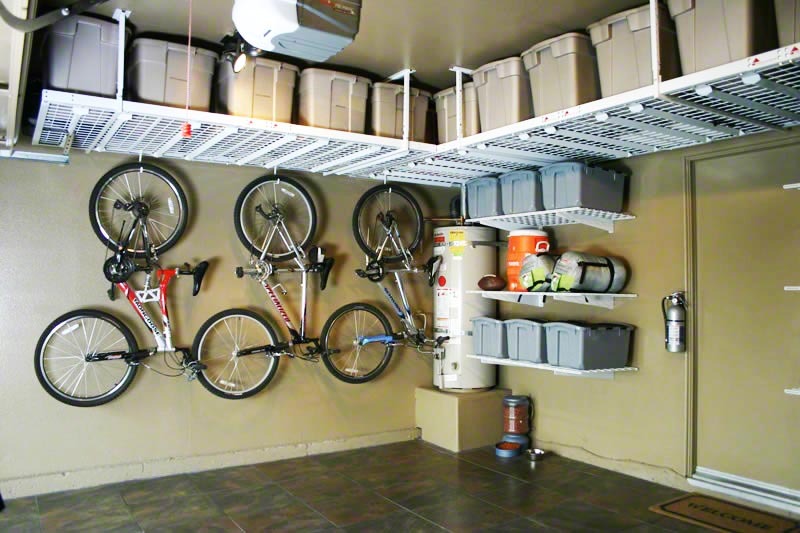 We love these overhead storage shelves that give you more floor space plus the option of hanging bicycles is fantastic. This next storage option is genius. Yard tools can often be a bugger to store well. Unused filing cabinets can be a pain to get rid of. Solve both problems by losing the filing cabinet drawers, lying it on it's side, add a splash of cute paint, & viola! you've got yourself some sturdy storage! Click the link below to find out details on this very doable DIY project. 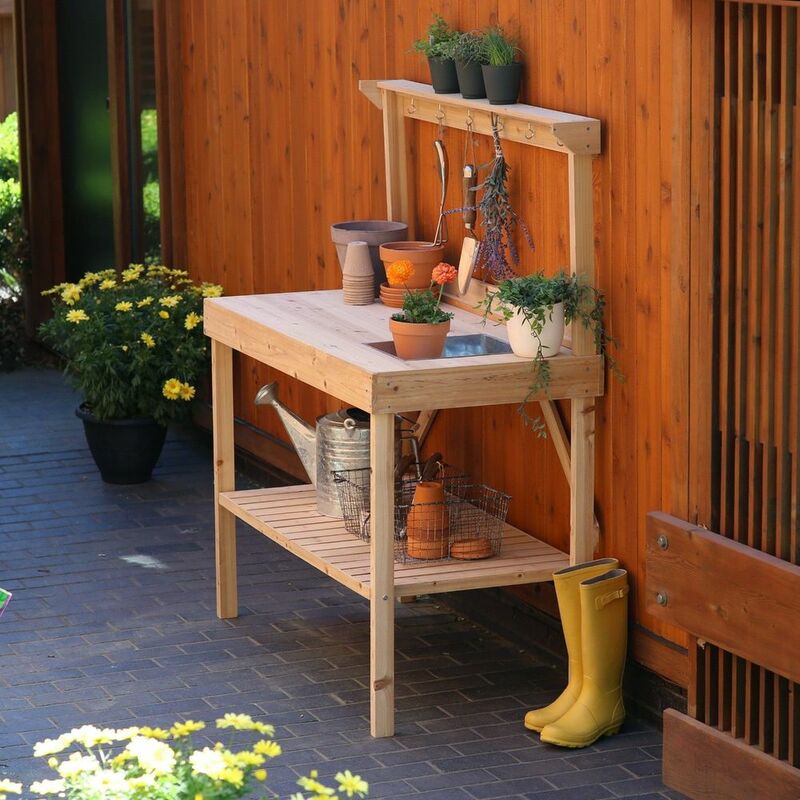 Organize your flower pots, smaller garden tools, & watering can onto a potting bench. Just a little investment can go a long way to bring order to your gardening space. The link will take you to lots of styles available on Ebay.com. As always, we LOVE to hear from you! Have any tips or ideas to share? Let us know in the comment box. Need some help organizing your extra spaces? Call us at 865.245.9080 & we'd love to help!